You've worked hard throughout your life - now reward yourself with great discounts at our hotels. 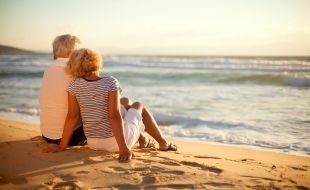 We have a range of attractive offers and great savings for those over the age of 60. It’s a great way to travel, relax and enjoy the sights of each destination with a saving of 50% off the best available rate of the day, subject to availability. Book directly with your hotel of choice or call +27 861 44 77 44 to secure your holiday now. Seniors qualify for a 50% discount off the Best Available Rate of the day, subject to availability and may exclude peak periods. All rates are subject to availability and are at the discretion of the hotel. Discounted rates must be confirmed by the hotel in writing at the time of reservation. Discounts do not apply after the booking has been made. Discount only applicable to one room per booking i.e. the room occupied by the senior guest. Breakfast is included in the Best Available Rate of the day. Dinner is excluded on this offer at Drakensberg Sun and Sabi River Sun. Discount does not apply to SUN1 hotels. Only guests over the age of 60 are permitted to book this discounted rate. Bookings can only be made direct with the hotel or through the customer contact centre. Seniors must produce a valid South African ID document on check-in to validate their age. Guests must have turned 60 at time of check-in. Offer only valid to South African residents in possession of a valid SA ID. Hotel rewards programme cardholders can earn or redeem SunRands at Tsogo Sun owned hotels and hotel restaurants. No further discounts apply to Rewards card holders. Rates are Nett and non-commissionable. Rates include Value Added Tax but exclude a 1% Government Tourism Levy charge per room, per night. Standard Tsogo Sun terms and conditions apply.